Qualification of companies that provide goods and services system (SICEP) is a project developed on 2001 by the Antofagasta Industrial Association (AIA) as response to the need of the supplier companies of counting with a homologated contractor register. The foundational purpose SICEP its contribute to the strengthening of the productive enchain of the national mining industry being a meeting instance between buyers and the supplies, goods and services companies of national mining market. 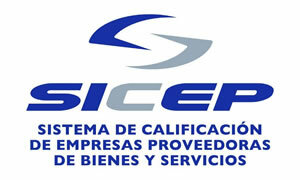 In this role SICEP bring values to the supplies companies generating a shopfront before the most important mining and big industrial companies of the country providing information to the improvement of standards in the industry and contribute to the value chain of the user companies giving information for a correct selection of suppliers, the risky decrease of recruitment, and in consequence decreasing operational costs of these. Since its beginnings to this day SICEP has experimented a sustained leadership administering nowadays the register of suppliers and contractors to 26 companies through the country belonging to the most important global mining conglomerate as: BHP Billiton, Glencore Xtrata, Antofagasta Minerals, SQM and Yamana Gold among others. It’s an international company that provides of a platform over one global electronic market works, open, independent and neutral that allowed, through internet, to make more efficient between the buyers companies and their suppliers. 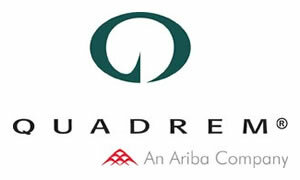 Currently Quadrem has regional offices in the 5 continents and count with a Transactional global community of almost 300 buyers and more than 7000 suppliers. 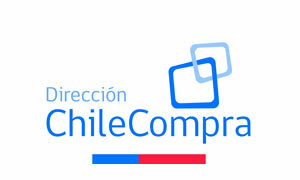 In Chile the platform works with 2000 suppliers reach an agreement yearly over 500 millions of dollars. • To ease the relationship between the suppliers. • To decrease the administrative costs of the buy of circle. • To achieve a greater efficiency in the supply management. • To ensure the transparency in the processes. 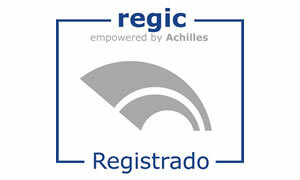 Achilles communities help to the buyers and suppliers of the same industry or region that share the same pre-qualification and performance data. ChileProveedores facilitates the participation of suppliers on the Public Buy Market (www.mercadopublico.cl) an open a new opportunity of business to national companies. The Chileproveedores services are oriented to the validation on line and suppliers accreditation of estate, concentrating in one only place all the needed information that companies require to make business with the state. As a registered supplier in Chileproveedores it will be possible provide an electronic file, where you can keep up to date all your commercial, legal and financier. This information are required in the different licenses of the state though the mercadopublico.cl platform. In this file suppliers and buyers verifying on line the accomplishment of the legal require that public buy law N 19886 demands voiding to present in a physical form this information for every license process.